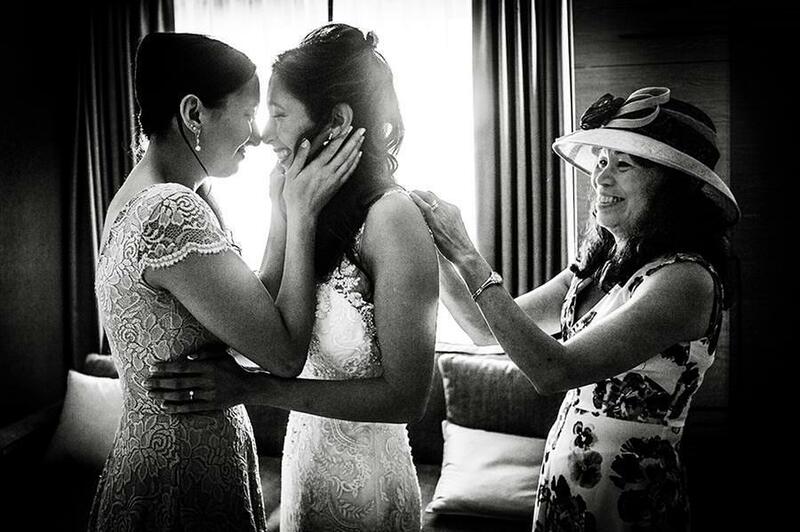 Photo details: This was a totally unposed and natural moment between the mother who was buttoning Lisa's dress and Lisa's sister who burst into tears when she went to kiss her sibling. I took a few and hoped for the best. This is my favourite in terms of composition and tenderness and simply capturing an unrepeatable moment which is what all of my photography is about.... I think. About the photographer: My name is Jason Pierce-Williams. I fell in love with photography 30 years ago while teaching in Lisbon. I have a particular passion for observational Street photography and bring much of this style to my weddings and other events. I hold a first class honours in photography and have exhibited my work both abroad and here at The National Portrait Gallery. I have also been published many times, including the prestigious Black and White Photography Magazine. I am a full time photographer and photography tutor. I have shot well over 300 weddings and countless other events including a five year tenancy with DJ Mag where I learnt proficiency in low light and flash photography. I cover all of London but have shot all over the world including India, Poland, Spain, Italy, Germany and Switzerland.